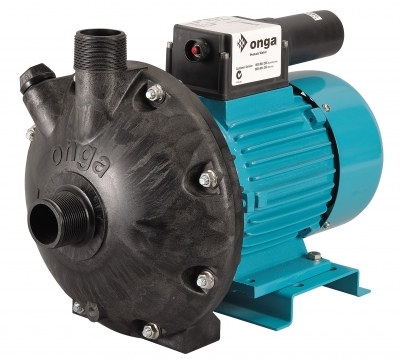 The Onga Hi-Flo range is made from high performance materials and is suited to a wide array of flow and pressure applications. The 14 series provides water flows up to 500 litres per minute and�heads to�over 40 metres. The award winning Hi-Flo impeller means high pressure, high flow and great efficiency with lower operating cost. � �High grade corrosion resistant materials. � �Award winning Hi-Flo impeller. � �Strong and durable construction. � �Max. head - 41 m.
� �Max. flow - 455 lpm.